I'm incredibly new to Buddhism, but one question that keeps bothering me centres around consolidating your life pre-Buddhism with your life during it. For example, when living your life prior to discovering Buddhism, you may behave in a manner that goes against the precepts. How do you make good on that and come to terms with it after you've become interested in Buddhism? Confess your non-virtuous actions to the buddhas with deep sincerity, then aspire not to do them again. Do this over and over again, every time you do somehting non-virtuous, you know, not so good. For me I take the AA line; once you know better, you can do better- but you have to pay the money back too. Which is to say, future actions can be different starting now, but amends for the past are needed and the forms they take are something to be worked out not just jumped into out of guilt. Or put another way, we participated in samsara through ignorance and instinct (among others), amends should not be made on the same basis. I think it's something personal and evolves over time. Trial and error, rinse and repeat. Only take precepts you know you'll keep and only for as long as you know you'll be able to keep them. They're called habits for a reason so it takes a while before all of your actions are going to be effortlessly aligned with the Dharma. Anyone who previously was heedless, and later develops a caring attitude, becomes as beautiful as the moon when parted from clouds, like Nanda, Angulimala, Ajatashatru, and Udayana. I once talked to an American journalist who worked in Cambodia. She was very critical of soldiers there who, after years of committing atrocities, ordain as Buddhist monks. In her view, these people's religiosity/Buddhism was worth nothing, being a sham, and that it would have been better if they had not ordained. That's a good example of how some people judge others entirely by their past (or a period from their past), seeing no way beyond it. I wonder how those soldiers justified their interest and involvement in Buddhism. I think a lot could be learned from them. binocular wrote: I once talked to an American journalist who worked in Cambodia. She was very critical of soldiers there who, after years of committing atrocities, ordain as Buddhist monks. In her view, these people's religiosity/Buddhism was worth nothing, being a sham, and that it would have been better if they had not ordained. That would be an fascinating conversation to have. Thank you, everyone, for the guidance. I was anticipating some form of repentance was to be expected, but I guess that stems from my own expectations of myself and societal expectations of having to do some form of punishment to amend for any perceived wrongdoings that have been done. Vasana wrote: Only take precepts you know you'll keep and only for as long as you know you'll be able to keep them. I appreciate the advice to take the precepts slowly. I imagine the chances of successfully living by them are much greater by taking this approach. It sounds like it is definitely a case of attempting to control the mind until the precepts become second nature. Have you heard about Milarepa of Tibet? He killed people and then was a great realized Yogi. In our thinking fellows are real inherent intrinsic existences; in a way of they can perfectly live on and by their own and have permanent particular characteristics. But this is completely illusion. Look at a picture of a baby, an adult man points to it and says: this is me! So this says enough to go to contemplate a bit on the change of phenomena/appearances/experiences with which we are used to associate. We can actually not put a finger on an appearance and say this is me, since there is always change, even subtle and invisible in experience. Same with mind its moods, way of thinking, ideas, these remain not always the same in each and every situation. Because it is simple change. It is all impermanent. When we call ourselves Buddhist we put others before us, others get great importance, since as H H Dalai Lama said: they are with so many and we only one. This is a method to stop the self-cherishing by which we desire to be happy ourselves and by which we suffer more than actually experiencing such happiness. At the other hand, we must be careful, our karma's ( actions) effects cannot be erased like we would wish it. We can better not hold onto what we did wrong but we can try to change our own attitude right now. To find a single mistake in our own behaviour-actions, which cause(s-d) suffering, is of much higher value as to find a thousand in our fellows. No need to feel guilty, this is not so helpful, it creates worry and worry never helps. What is perhaps good is to talk about eventually shame or regret with a Buddhist Master. We all make/made mistakes, and we then can learn that is actually because we do not know how to be really happy or content, do not know how to find peace. Being able to forgive ourselves/others can be helpful and then let go and know there is no really bad or wrong one, all changes. Then trying to be a bit more aware of our actions and so their effects. Such an attitude comes from the Western, Abrahamic, view of religion as being fundamentally a matter of the social self rather than individual conscience. If these people had become monks in order to avoid criminal prosecution (unlikely in Cambodia, as few of even the worst monsters who orchestrated the Cambodian genocide have ever been brought to book) that would be a matter for condemnation, but if their motivation was genuine remorse, what better place could there be for them? They will still have to experience the karmic effects of their deeds in one way or another. By contrast, I was just reading about a 98-year-old ex-Ukranian fascist being extradited to Poland for war crimes during WWII. The guy is feeble and has Alzheimer's. Does anyone really think "justice" is being served by this? I think the advice you've received to take it slow, learn Buddhist precepts, and avoid guilt over your past is very good. A good approach to Buddhism is learning how wrong thinking has led to negative actions, applying right thinking to present actions, and purifying the residue of past non-virtue with the Four Opponent Powers. Resolve (sincerely -- and realistically -- promise yourself to avoid similar negative actions in the future). Do your best, and then don't worry about it. What's the point in worrying if you have done your best? That's a waste of time and energy you need for other things anyway. Do you best to do no harm, to love, to be compassionate, not to be jealous and to make peace. Be aware of your thoughts AS you are thinking, and from this awareness, will flower all manners of goodness. When I discovered that I've been a horrible person for a good chunk of my life, I started to change my ways. Someone told me about the four opponent powers. I can't really remember what they are, but they include regretting what you've done in the past. I still feel like I'm not a very good person because I can't bring myself to completely regret some of the things I've done, but I'm trying to. To make up for the kind of person I've been in the past, I've also been doing little things that bring good karma so that maybe, just maybe they can outweigh the bad karma created. Some of these little things include helping my parents with chores, releasing bugs inside my house instead of killing them, and being more respectful to the Buddha. 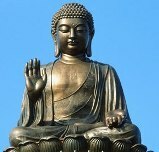 I also try to ask myself what the Buddha would want me to do whenever a problem arises, for example if I saw money on the street, I'd automatically think to take it, but then I'd also know that the Buddha would want me to bring it to a nearby police station or do something else to locate the owner of the lost money. Sometimes, I also like to go to the Buddha's altar and make offerings and apologize for what I've done in the past. Anyways, you can give these things that I like to do a try. Again, I'm not so sure if I'm the right person to be getting advice from though, because I too am a beginner. Despite my best efforts, I still "behave in a manner that goes against the precepts", so I practice Ryaku Fusatsu. It's a wonderful opportunity to pause, critically examine my behavior, make amends where possible, and re-dedicate myself to my practice and renew my vows. I now repent having committed. When the Buddha awakened beneath the bodhi tree, he exclaimed, "Wonder of wonders! All beings are whole and complete, endowed with wisdom and compassion! But due to their inverted thinking, they have forgotten this." You are "whole and complete, endowed with wisdom and compassion"; your essential nature is Buddha nature. You have never been "a horrible person", even if you might have, in the throes of your delusions, done some horrible things. Shunryu Suzuki roshi once said that, strictly speaking, there are no enlightened people; only enlightened activity. Dogen zengi said that there is no gap between practice and enlightenment; practice is enlightenment. Therefore practice; engage in enlightened activity; be Buddhist. Those who perform the function of arhats are arhats. Those who perform the function of prateykabuddhas are prateykabuddhas. Those who perform the function of bodhisattvas are bodhisattvas. Those who perform the function of buddhas are buddhas. those who perform the function of hungry ghosts are hungry ghosts. My notion of karma is simply cause & effect. Who you are today is your karma; the cumulative result of all of the choices you have made up to this point. Who you will be in the future will also be your karma; the cumulative result of all of the choices you make from this moment onwards. Regardless of who and what you were in the past, what "function" are you choosing to "perform" right now; in this present moment? That of a bodhisattva? A buddha? Or a hungry ghost? All carry their own karma, and the choice is entirely yours. It's good to learn from (and sometimes atone for) your past, but don't spend too much time looking back. You're not headed that way.